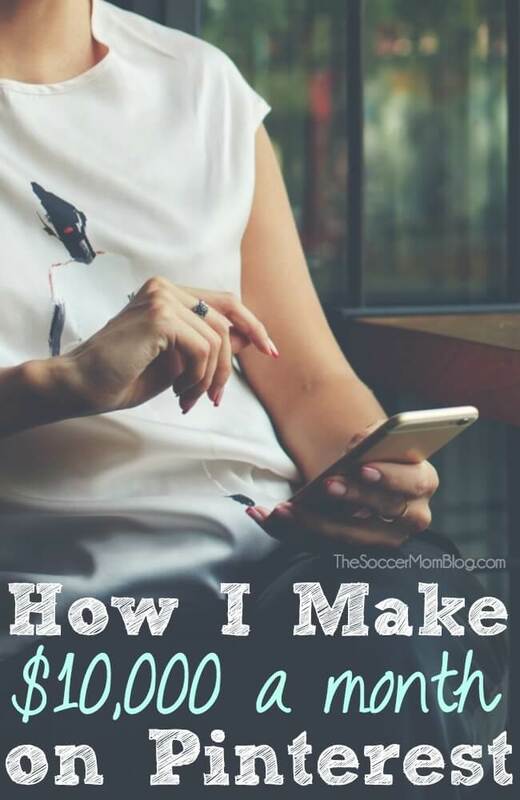 Today, you will learn all about how to make money with Pinterest – including strategies that utilize a blog, as well as methods that don’t require a blog. Blogging and Pinterest completely changed my life and allowed me to make a full-time income working from home (and doing something I love!) Believe it or not, you can start a money-making blog for only a few dollars a month! (Less than the price of one fancy cup of coffee!) Below, I have included discounted pricing that I personally negotiated with Bluehost so you can start a blog for the lowest price possible. (Bonus: You’ll also receive a free domain name when you sign up for a year’s hosting with Bluehost). Click here to start your blog with Bluehost for the special super-low offer just for my readers. Then read on to learn how to use Pinterest to build your home business! I’m on Pinterest every day like it’s my job! …Oh wait, that’s because it is my job! If you ever see me with my phone out, scrolling through Pinterest, I’m not just killing time. I’m making money! A large part of my blogging strategy is Pinterest, and I also make money with Pinterest all by itself. Today I’ll share how to make money on Pinterest, doing something you love, and working from home – win win! Note: I provide ad/affiliate links to products and services that I love and use in my own life; read my disclosure policy here. I’ll also talk later in the post how YOU can use similar type affiliate links to make money with Pinterest! The number one way that I make money on Pinterest is by getting people to visit my blog. Related: The Essential Step-by-Step Guide to Set Up a WordPress Blog – if you’ve been thinking about starting your own blog, read this first! I detail exactly how to get set up in minutes on WordPress.org (which is my favorite blogging platform for many reasons). Every person that clicks over from Pinterest to my blog makes me a little bit of money because I have ads on my site. Those little bits of change add up over the course of every day to amount to a nice monthly paycheck. (My monthly ad revenue is usually equal to or greater than an entire month’s salary at my old job). The key to getting people from Pinterest over to your blog is creating a Pinterest pin image that makes people want to click! The title of the pin (which isn’t visible above) read: “The One Lifestyle Change that Allowed me to be a Stay at Home Mom.” This one pin earned over 65 thousand repins (shares) and the blog post itself has received one million page views since publication. That’s a LOT of blog traffic (and ad revenue), and a large part of it came from Pinterest. A title that grabs their interest (without giving it all away) – think of the headlines you see on a supermarket tabloid that make you want to buy an issue, or at least flip through to see what’s inside. A blog post that backs it up – once people arrive on your website, your blog post needs to deliver as promised, or I guarantee those visitors will leave quickly and never come back! I’ve studied Pinterest pins for over two years and I’ve created a simple system that worked to triple my Pinterest followers in the first three months alone! It’s also kept my traffic growing even as algorithms make it tougher for bloggers to get noticed. Click here to learn all my Pinterest secrets that you can use to grow your traffic FAST! Don’t Miss This: If you’re a new blogger, or even thinking about starting a blog, then you must read the 5 Things I Wish I’d Known Before I Started a Blog. Trust me, you don’t want to make the same mistakes I did in the beginning!! While blogging and Pinterest go hand-in-hand, you don’t need a blog to make money with Pinterest. I know some Pinterest users that grew massively successful Pinterest accounts without a blog at all! Two of the most common ways to make money with your Pinterest account (with or without a blog) are through sponsored pins and affiliate marketing. With affiliate marketing, you make a commission selling other people’s products. For example, a fashion blogger might pin some of their favorite outfits and trends to their fashion-themed board. Those pins link to a website where Pinterest users are able to purchase that same product. Any sales captured by that link will trace back to the original pinner, and they’ll earn a small commission on those sales. Your investment is minimal, but the returns are solid! A legitimate affiliate program requires NO financial investment on your part. You simply earn a small commission every time someone makes a purchase through your affiliate link. One of the most popular affiliate programs is Amazon Associates (though you’ll need an established blog to apply). Amazon is popular because they have a HUGE selection of products (you can find pretty much anything you want there) and they are a trusted name that people recognize. But Amazon is just the tip of the iceberg when it comes to affiliate programs! Other bloggers may use affiliates to promote their products (and offer higher commissions – like 30-50%). Your favorite products and services may also have affiliate programs where you can make money recommending things you use in everyday life! Personally, I love the Ibotta rebate app, so it is a no-brainer to recommend it to others so they can save money too. I also am an affiliate for Winc (monthly wine club). Sometimes brands will will even pay you a flat fee to promote their product/services on Pinterest. These are called sponsored pins. You’ll negotiate a rate based on your number of followers (reach) and the number of pins to be shared. Note: Any time you share an affiliate or sponsored pin, you need to make a note in the pin description. This is called “disclosure” and is required by the FTC (and usually by the affiliate program or sponsor as well). A simple “#ad” or “sponsored” will keep you on the right side of the rules. Another way to make money with Pinterest (with or without a blog) is by selling your own products – both physical and digital. Online courses, printables (calendars, kids educational worksheets, decorative, etc. ), and ebooks are all examples of digital products that you can sell via Pinterest. You can either create a pin that links directly to the sales page OR if you have a blog, you might write a post about the product (I find this helps increase conversions). For example, here is the landing page for the ebook I co-wrote: The Slime Book. I link to this page on Pinterest, rather than the checkout page. If you’re crafty or make a physical product that you sell on Etsy or a similar platform, you can also create pins that link to those products. Think about it – how many times have you pinned a gorgeous craft idea on Pinterest, and when you click the link it goes to that item for sale in an Etsy store? (Happens to me all the time!) 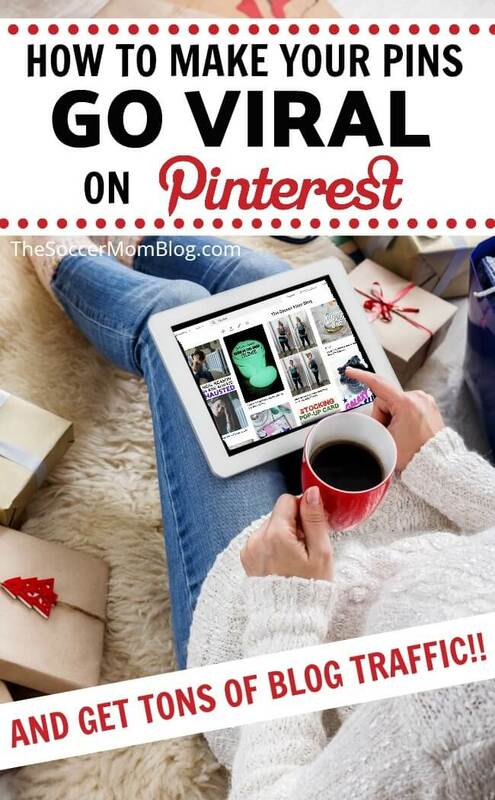 Pinterest is the perfect way to potentially get your craft in front of millions of eyeballs! If you’re already a Pinterest pro, you can can get paid to help other bloggers or business owners manage their Pinterest accounts. In fact, virtual assisting is one of the fastest-growing ways for stay at home moms (and others) to make money working at home! You don’t necessarily need to have your own blog or business Pinterest account to start working as a Pinterest manager for someone else. What you do need is a solid understanding of how to use Pinterest (setting up a new account, curating relevant content, creating searchable boards and pins, etc) as well as professionalism and a good work ethic.